HONG KONG, February 29, 2012 – PCCW mobile announced that it has successfully completed a commercial trial of the Next Generation Hotspot (NGH) in Hong Kong at the end of 2011, becoming the first operator in the world to have achieved this milestone. The NGH rides on IEEE 802.11u and 802.1x specifications in conjunction with Cisco's Service Provider Wi-Fi solution. PCCW mobile is an operating division of HKT, Hong Kong's premier telecommunications provider. PCCW mobile has been operating its Wi-Fi offloading solution in its Hong Kong networks since 2007. With the NGH trial success, PCCW mobile leads the market towards adoption of the new NGH industry standard that provides seamless authentication and roaming between its 3G and Wi-Fi networks and offers customers an unparalleled and secure data network access experience by using PCCW mobile's advanced NextGen network, state-of-the-art EAP-SIM authentication infrastructure and authorization solution. With adoption of the NGH industry standard, PCCW mobile customers can enjoy seamless international roaming on partnered Wi-Fi networks in overseas countries. It provides faster Wi-Fi network discovery and selection, enables mobile devices to logon automatically and helps provide secure access to partnered Wi-Fi networks. Mr. Richard Midgett, HKT's managing director of Wireless Business, said, "PCCW mobile is pleased to have collaborated with Cisco in the development and application of the most advanced NGH Wi-Fi technology. PCCW mobile is targeting to commercially deploy NGH when NGH-enabled devices become available in the market." Ms. Barbara Chiu, general manager of Cisco Hong Kong and Macau,said,"Cisco is pleased to collaborate with PCCW mobile, a visionary telecommunications provider, in successfully completing the pioneering commercial trial of NGH in Hong Kong. 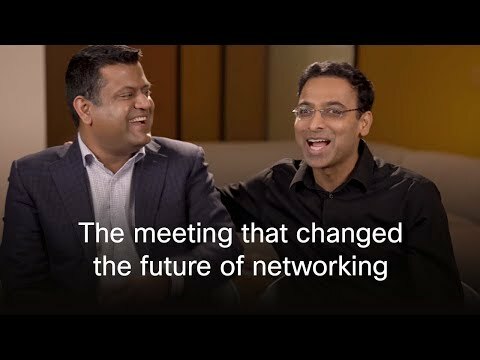 This first-of-its-kind NGH trial, powered by Cisco's Wi-Fi solutions, reaffirms Cisco's innovative NGH strategy, enabling carriers to optimize their networks for delivering a host of new services that enhance end-user experiences. We look forward to the commercial deployment of NGH and are committed to continuing our efforts toward transforming Hong Kong into an advanced hotspot city." PCCW mobile chose to collaborate with Cisco, the market leader in delivering licensed and unlicensed small cell solutions, on its NGH trial. Cisco's Service Provider Wi-Fi solution scales to support millions of users, and features standards-based NGH for a highly secure mobility experience for the end user. The Cisco Wi-Fi solution contains the industry's largest portfolio of intelligent access points, with support for all business plans, including indoor, outdoor, large venues, and entire metro areas. The solution's comprehensive converged core delivers maximum capacity, performance, and operational efficiency. With Cisco Wi-Fi, subscribers can enjoy high-bandwidth applications like mobile video and conferencing simply and reliably, while operators can enjoy the reliability and scalability only Cisco can provide. HKT (SEHK: 6823) is Hong Kong's premier telecommunications service provider. It meets the needs of the Hong Kong public and local and international businesses with a wide range of services including local telephony, local data and broadband, international telecommunications, mobile, and other telecommunications businesses such as customer premises equipment sale, outsourcing, consulting, and contact centers. Together with the highly successful media business of its parent company, PCCW Limited, HKT offers innovative media content and services across the PCCW Group's unique quadruple-play platforms – fixed-line, broadband Internet access, TV and mobile. Cisco (NASDAQ: CSCO) is the worldwide leader in networking that transforms how people connect, communicate and collaborate. Information and ongoing news about Cisco can be found at http://www.cisco.com and http://newsroom.cisco.com. Cisco products are supplied in Hong Kong by the channel partners of Cisco Systems International, B.V., a wholly owned subsidiary of Cisco Systems, Inc.
Cisco and the Cisco logo are registered trademarks or trademarks of Cisco and/or its affiliates in the United States and certain other countries. A listing of Cisco's trademarks can be found at www.cisco.com/go/trademarks. Third-party trademarks mentioned are the property of their respective owners. The use of the word partner does not imply a partnership relationship between Cisco and any other company.